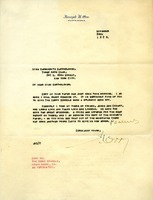 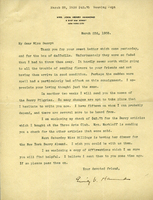 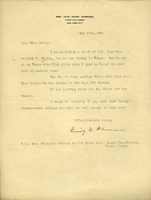 This letter encloses one of the individual Silver Rolls referenced in Mrs. Hammond's 1926 letter about the Silver Roll she brought on her first pilgrimage to Berry in 1924. 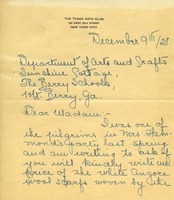 The writer notes that "Marguerite" is sending a letter to accompany the Silver Roll later in the week. 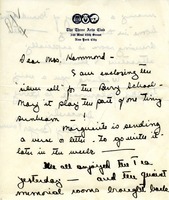 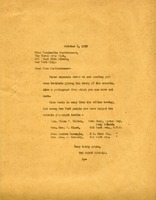 Hazzard reports on a dinner party at New York's Three Arts Club where she and Annie Laurie Crain told the residents and "old members" about their visit to the Berry Schools. 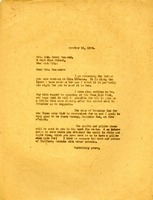 On Three Arts Club stationery. 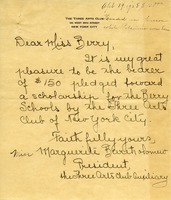 Bartholomew, Three Arts Club Auxiliary President, encloses a scholarship donation.